Our slogan, “why scrap if you can Metalplus it” has been and continues to be a type of silver bullet and it is due to this approach that we continue to be relevant in an ever changing and advancing world. So what’s in a name you may ask; we believe everything, for when you add good stuff to not so good stuff what do you get? You get Metalplus. While we pride ourselves as being the pioneers of the micro-welding industry in South Africa, our success lies in the fact that we continue to be innovative and dynamic. Over the years we have demonstrated a willingness to take on projects that were seemingly “undoable” or simply too challenging for industry. To date we have successfully refurbished some of the largest turbines, impellers, rolls and eccentric shafts to name a few and every so often we accomplish the improbable. 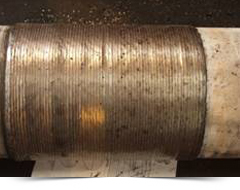 Metalplus has pioneered Submerged Arc Micro Welding in South Africa since 1973 and serves the Petrochemical, Mining, Shipping, Transportation and Manufacturing Industries with distinction. 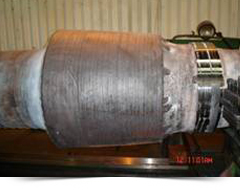 Metalplus is sensitive to our customer’s downtime and production losses. Our 24 hour service ensures that these are kept to a minimum. This commitment to service makes Metalplus a unique, high quality repairer. As part of our ongoing quality drive we have implemented the ISO 9001:2008 Quality Management System and are certified by the prestigious International Body, TUV Rheinland. Metalplus is also registered with NOSA for the accreditation of SHE. Metalplus is the expert mechanical facility within the ACTOM (Pty) Ltd Group. The Metalplus services in the transportation sector include the manufacture of new shafts, micro welding and grinding of crankshafts as well as the repair of traction motor casings. We also specialise in the manufacture of smaller components, ie bearing caps, housings etc. 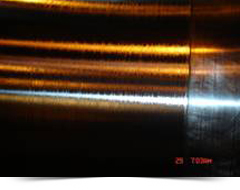 Our core competencies include machining, grinding and micro welding of all types of shafts and other equipment. An expert team of specialists support a specialized manufacturing facility in ensuring service and engineering of the highest quality.